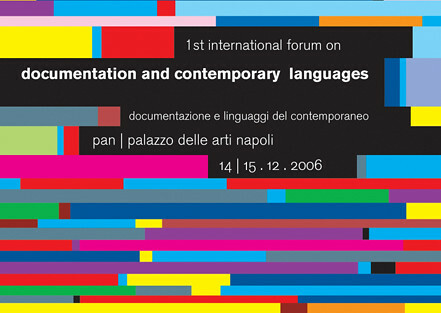 The international Forum Documentation and Contemporary Languages, is a three year project curated by the Documentation Center, PAN | Palazzo delle Arti Napoli. 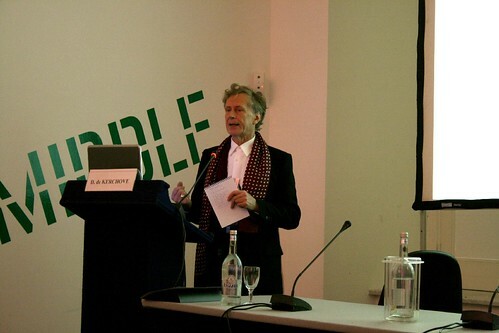 It offers a platform to discuss the conditions of art creation and fruition / enjoyment, promoting a systematic reflection on the active role of Centres for the Contemporary Arts regarding the development of the concepts museum, documentation and fruition. 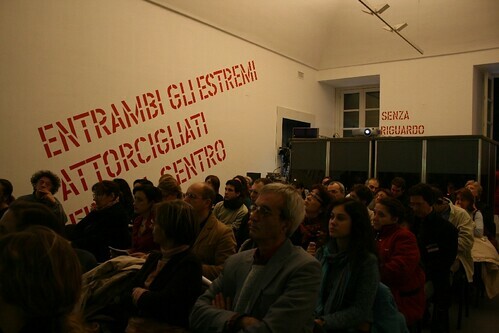 The Forum’s venue is Palazzo Roccella, the first exclusive and permanent Centre for the Contemporary Arts of the city of Naples. The main aim of this yearly meeting is to stimulate, to collect and to record, from a critical, shared point of view the different prospects and identities of the international network. 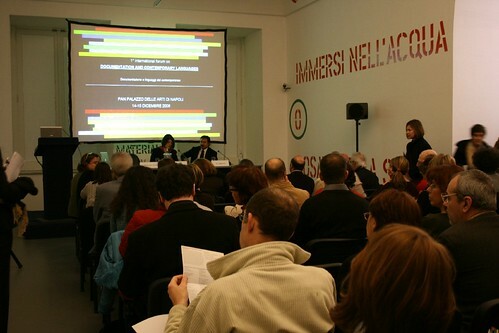 Documentation and Contemporary Languages is an occasion for direct and practical exchange among the directors and managers of the cultural institutions representing an important part of the contemporary art system. DIA Art Foundation, New York, U.S.A.
P.S.1 Contemporary Art Center, New York, U.S.A.
A video review will be dedicated to the presentation of works and projects of the invited institutions.